Huckaby served in the Army National Guard as a 12 Bravo Combat Engineer. Janis Armstrong, Veterans Services coordinator, said every presenter in the Veterans Day program is going to be a veteran. Veterans Day traditionally is celebrated on Nov.11, but that day falls on a Sunday this year, so Armstrong said her office decided Nov. 8 would be a better option. Monday, Nov. 12, is considered the federal holiday. Lyrics from Johnny Cash’s “Our Rugged Old Flag” will be read by Ronald Wiskup II. He served as an Aerospace Propulsion Technician for the 552nd Equipment Maintenance Squadron at Tinker Air Force Base in Midwest City. “It is important for the school to recognize our veterans,” said Lorenzo Rubio, who is a work-study student in the veterans services office. “Serving in the military is a choice, and for individuals to put their lives on the line means a lot,” Rubio said. Throughout the program, musical selections will be performed by Akia Calaway-Jefferson. She is an Air Force veteran who served from May 2000 to February 2008 as a pharmacy technician at Lackland AFB. Color Guard will be presented by the students of Capitol Hill High School. Any employees or students who have served or have family members who have served in the military can bring pictures to be viewed in an honorary slideshow. “It’s amazing how many employees are actually veterans,” Armstrong said. Pictures for the slideshow can be taken to the Veterans Services office to be scanned. Students and faculty are encouraged to attend, and to invite any former or current military service members to attend the program. The master of ceremonies for the program will be OCCC Bursar Cynthia Gary. 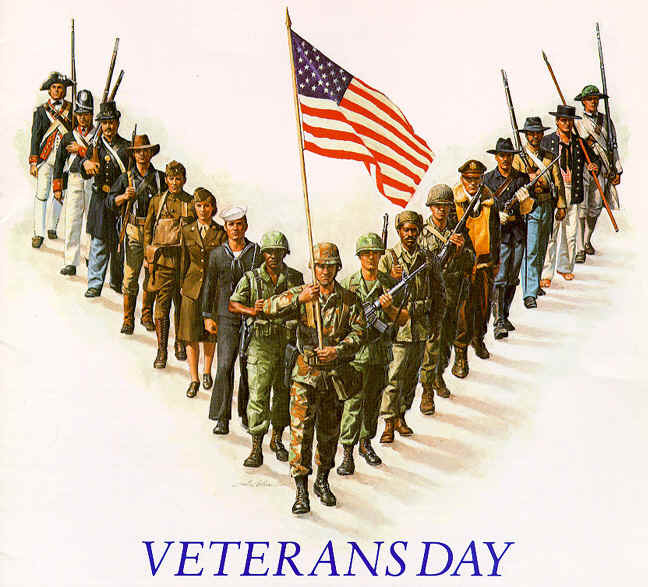 The service of all U.S. military veterans is celebrated on Veterans Day. This day represents the anniversary of the signing of the armistice which ended the World War I hostilities between the allied nations and Germany in 1918. “This event is for everyone and we hope everyone comes,” Rubio said. Refreshments will be served at the program. To contact Armstrong, call 405-682-7527 or email jarmstrong@occc.edu.